I tend to differ with Coach Lombardi and agree with Dickens on this one. Quitting is the tactical execution of the strategic Positive Power of NO—in order to make a “no” stick, you have to be willing to quit. “Dropping out” is not exactly a common barometer of success in today’s world. And yet Bill Gates quit Harvard. Steve Jobs quit Reed College. Other college dropouts you might recognize? But you don’t have to look to the elite to see how valuable quitting can be—it is the most democratic of virtues. The American Declaration of Independence is a quitter’s document. We as a nation quit England and all that it meant to us. And to give an example that’s all too common, most people would agree that it’s far better to quit an abusive relationship than to stick it out. • Quitting is not to be admired. • Quitting is for the weak. 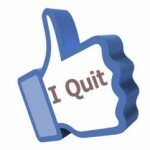 • The next step after quitting is scary. • Not quitting is, at some level, comfortable. Yet, like the positive power of “no,” quitting has been my ultimate freedom tool and the key to my independence (an important Learner/Researcher “want” for me). 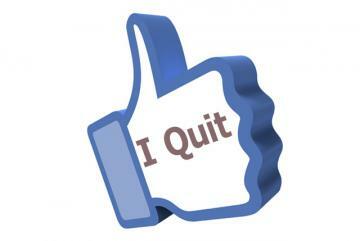 This idea of quitting, or executing the Positive Power of NO, doesn’t apply only to personal challenges. Business can benefit as well. 1. Decisiveness leads to success. 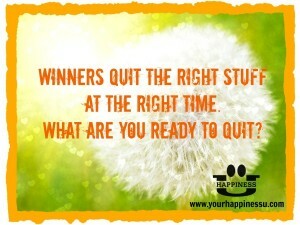 That includes deciding to quit when quitting is the best path. 2. 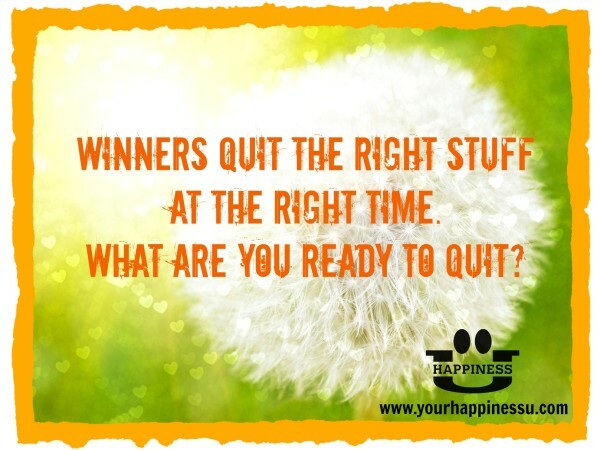 Quitting some things lets you focus better on other things that matter more. Having clear goals is the key to knowing what to quit and what to pursue. 3. Consciously planning to ignore distractions takes less effort than increasing focus to compensate for distractions. 4. Know what matters to you. To make the decisions that best fit your values, you first need to think about which values you place above others: humanity, relationships, authority, security, power, achievement, stimulation, or freedom. In the words of Steve Jobs, “Deciding what not to do is as important as deciding what to do.” It boils down to a philosophical debate I raise with my teams or groups: “Why do we want what we want?” Do we want it because someone, or society, or our K/J rule says we’re supposed to want it? Or do we want it because it gives us joy and peace and connectedness regardless of the consequential rules? If the answer is the former and you’re able to see it, then quitting can become a tool for pursuing freedom, independence, and the life you are meant to lead.